Mild dehydration is a daily issue for nearly every American. 75% of us are chronically dehydrated without realizing this fact or the myriad ways it effects our day to day lives. Even being slightly dehydrated can cause cognitive issues, fatigue and irritability. A few glasses of water a day can help with these problems, which is where Colorado Springs Water Delivery can help improve how you live your life. The environment; oil prices and availablility; and stressing our landfills are real and serious concerns for everyone. clearly colorado has an environmental commitment to always improve our technology and product offerings. For example, we monitor the industry and intend to move to corn-based bottles when a reliable corn-based bottle becomes available. WASHINGTON — Sen. Frank Lautenberg, D-NJ, who chaired an April 15 US Senate hearing on pharmaceutical compounds in US drinking water supplies, said that the US Environmental Protection Agency’s (EPA) response to the situation was insufficient, according to an April 15 Associated Press (AP) report. WASHINGTON — The US Senate was scheduled on April 15 to begin a hearing to look into reports that trace levels of prescription drugs are present in US public drinking water supplies, according to an April 15 Marketplace report. 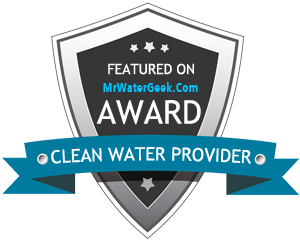 The hearing, called by Sen. Frank R, Lautenberg, D-NJ, and Sen. Barbara Boxer, D-CA, will examine the problem of pharmaceuticals in drinking water supplies, and provide a national framework for tackling the problem, as WaterTech Online™ reported. WASHINGTON (AP) — A White House task force that was supposed to devise a federal plan to research the issue of pharmaceuticals in drinking water has missed its deadline and failed to produce mandated reports and recommendations for coordination among numerous federal agencies, according to documents obtained by The Associated Press. More than 70 pages of the task force's documents, including e-mails and weekly reports, were released under the Freedom of Information Act as a Senate subcommittee prepares to convene a hearing Tuesday prompted by an AP investigation about trace concentrations of drugs in America's drinking water.